With this certification, elecworks™ becomes the first Certified Gold Partner application for electrical design, integrated to SolidWorks. Trace Software International, a leading software maker in the industrial automation and power distribution market, announced today that elecworks™, its flagship product, has achieved Certified Gold Partner status with DS SolidWorks Corporation. With this certification, elecworks™ becomes the first Certified Gold Partner application for electrical design, integrated to SolidWorks. This certification awarded on Jan. 26, a few days before elecworks™ new release presented successfully at SolidWorks World 2010, places electrical design as a development axis for SolidWorks® 3D CAD and induces Trace Software International to keep on strengthening mechanical and electrical collaborative work through a seamless integrated tool. Elecworks™ enables users to design automation and electrical installation projects from 2D schematics up to 3D design. It has been specifically designed for engineers who want to integrate electrical schematic in their existing SolidWorks platform as an easy to use add-on. It uses a user-friendly ribbon interface and operates on Windows. An additional Routing and Cabling module enables cabinet and machine 3D automatic wiring. For customers, elecworks™ new Certified Gold product status means compliance with SolidWorks Certified Gold product criteria including compatibility with each new SolidWorks release. Elecworks with it’s Gold status means real-time updates between elecworks™ and SolidWorks whether viewing SolidWorks 3D interface or elecworks™ 2D schematics. 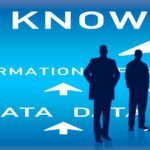 It also boosts productivity with projects stored in a unique database and no data import / export hassle, which would be the case using other electrical CAD software. Adding electrical design on their existing platform saves data exchange and training time and increases productivity. “Integration between key product design applications can save precious time off the development process and increase productivity,” said Nick Iwaskow, SolidWorks Manager, Alliances. “Integrating elecworks™ directly within the SolidWorks environment helps designers and engineers improve designs and deliver the products their customers are looking for”. Dr Pedro Puig Deu, Managing Director of Trace Software International, declares: “We are very proud to be the first electrical application to achieve SolidWorks Certified Gold Product status. It is an important milestone for Trace Software International and for SolidWorks. Demand is strong since it is a cost-effective way to develop electrical design on existing tools. We feel that the Certified Gold status will give our customers an added confidence in elecworks™. We remain committed to helping our customers design better electrical projects faster and we will continue to work upstream with SolidWorks on future releases to bring the electrical world even closer to 3D mechanical world”. Founded in 1989, Trace Software International provides design and management software solutions for the industrial automation and power distribution markets. A world leader in its rapidly changing field, Trace Software International has an outstanding track record of innovation and providing advanced customer-focused solutions. Partner to SolidWorks, Trace Software International is present worldwide and markets its product range through its subsidiaries, distribution channel and worldwide reseller networks. With a head office in France, Trace Software International has offices in Boston (USA), Shanghai (China) and Barcelona (Spain). Its subsidiary TraceParts is a world expert in 3D Engineering Content. 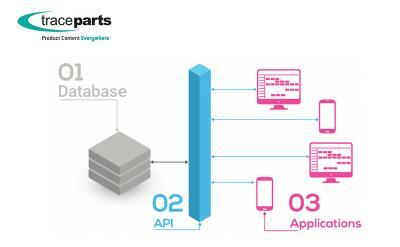 TraceParts develops and markets software solutions for CAD parts libraries, electronic catalogs and product configurators.